Less than six months after January 25, 2011, the Supreme Council of the Armed Forces created a health and social welfare fund to provide reparations for individuals injured by or killed in the events of the January 25 Revolution. The fund was the predecessor to the National Council for the Care of the Families of the Martyrs and the Injured. The council has provided financial compensation, pensions, and various transportation, health, and education benefits to individuals injured by or to the families of those killed in a number of designated events. The January 25 Revolution and certain notable incidents in the months that followed—including the Maspero massacre, the Mohamed Mahmoud events, and the Cabinet clashes—are included in the council’s mandate, as are more recent incidents like the June 30 protests and some church bombings and terrorist attacks. 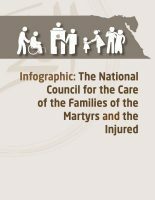 In December 2018, the secretary-general of the council stated that over its tenure, the council had provided financial compensation and pensions to the families of 918 individuals who had been killed in the violence, financial compensation to 5,321 injured persons, and pensions to 567 injured persons. 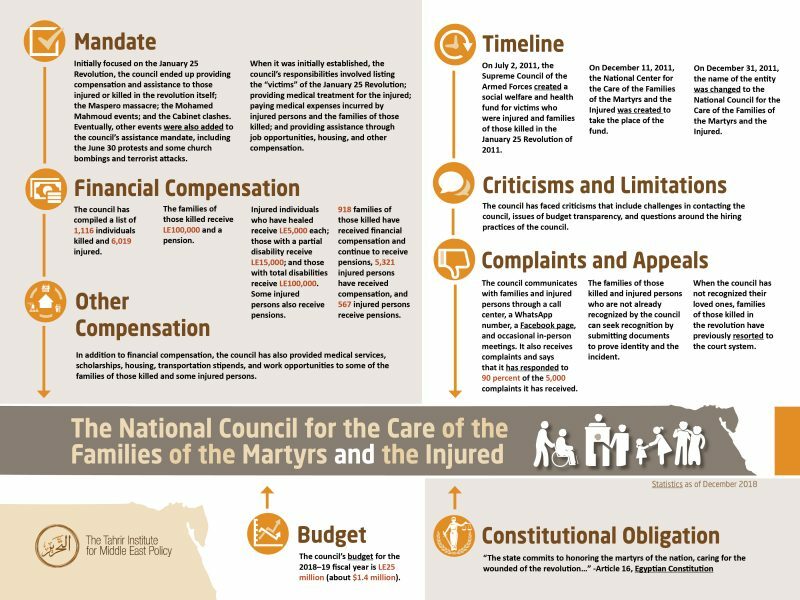 Our infographic provides a brief snapshot into the central entity established by Egyptian authorities in the wake of the January 25 Revolution to be responsible for reparations, explores its mandate, highlights its contributions, and assesses some of the criticisms that have been levied against it.